Damaging or breaking your phone can be a nightmare. Not only does it make it a lot harder to stay in touch with people but replacing it can be costly and time consuming. That’s where Three Rescue comes in. It’s a service offered by Three which aims to solve all of those problems for Three customers. Here’s everything you need to know about it. Three Rescue is a service offered with devices from Three, which covers you in case of damage to your device, making sure you get a new one sent to you – often the very next day. Essentially Three Rescue is an insurance service, offering 'Damage Cover'. Damage Cover provides cover against accidental damage (including damage caused by liquids and cracked screens), malicious damage (assuming it’s caused by someone who doesn’t have permission to use the device), pet damage and out of warranty breakdown. If any of those things happen to your device you just give Three Rescue a call or make a claim online and they’ll send you a replacement device the next day. Note that Three Rescue also used to offer a ‘Full Cover’ service which also covered you against loss and theft. This was discontinued as of October 1st 2018, but if you took cover out before then you might have it. You won’t be covered for any faults which occur within the manufacturer’s warranty period. Three Rescue also doesn’t cover cosmetic damage, damage caused by acting against the manufacturer’s guidelines or altering your device, fraudulent claims or any unauthorised call, text or data uses. Three also won’t cover accessory-only claims or claims involving accessories other than the battery, mains charger and hands-free kit that came in the box with your device. The cost of any repairs that weren’t instructed by Three also won’t be covered, nor will any malicious or deliberate damage caused by you or someone who had your permission to use your device. Any losses or consequences you face as a result of being without your device won’t be covered either, nor will the confiscation of your device by a finance company or government agency, or the loss or corruption of any app, software or digital content other than standard manufacturer software. You also can’t make a third claim within any 12-month period. Of course, you’re also only covered for a device purchased from Three (or replaced by Three or under manufacturer warranty) and aren’t covered if you’re behind on your Three Rescue payments. Yes, Three Rescue provides worldwide cover. However, your replacement device can only be delivered to an address in the UK or Channel Islands. Note also that you need to be a permanent resident of the UK to be covered, so while you can be insured while travelling, Three Rescue won’t cover you if you live abroad. The cost of cover depends on which device you have, with pricier handsets obviously costing more to insure. You can get a quote from Three’s website for Damage Cover. Note that as well as a monthly cost, if you make a claim you’ll also have to pay an excess fee, and this also varies based on what device you have. Is Three Rescue only available for phones? No, it can also be purchased alongside tablets. Almost all devices sold by Three can be protected by Three Rescue, as long as they’re worth more than £125 and purchased as part of a Pay Monthly plan. Three Rescue is available with most devices on Three and can be purchased at checkout as an add-on. 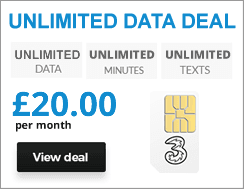 However, it’s only available to customers who have bought or upgraded a device on a Pay Monthly plan with Three. You also have to be 18 or over to purchase Three Rescue cover, and can’t have had a mobile insurance policy declined or cancelled by Three in the past or a claim denied due to fraud. Three Rescue aims to have a new device with you the next day, assuming you’re in the UK and your claim is approved by 8:30pm Monday to Friday or 2:30pm on weekends. Outside those times the new device should be with you within 2 days. However, this excludes claims or deliveries on UK Bank Holidays or delays caused by things outside Three’s control, such as extreme weather. If you think your delivery is late, get in touch with Three Rescue and if it’s missed its delivery promise it will pay you £20 within 30 days. The handset or other device you receive will usually be the same make and model as the one you’re making a claim for. It might be new or it might be refurbished to Three Rescue’s standards. The only time you won’t get the same make and model of device is if Three Rescue is unable to source one, in which case you’ll receive a device with similar features and functionality. You’ll also get the usual device accessories if yours were involved in the incident or if you’re provided with a different model, and pre-paid packaging to return your damaged or faulty device (which must be done within 15 days). Upon request you can also be sent a new SIM card with the same number, in which case your old one will be blocked. Claims can be made online 24/7 directly with Three and you’ll get a 24-month warranty on your replacement device. Assuming you keep up with your payments, Three Rescue cover will continue for 59 months unless you upgrade your device or get a new one on the same mobile number, or cancel your cover. You can call, email or write to Three Rescue to cancel, and if you do so within the first 28 days (and haven’t made a claim) you’ll get a full refund. After 28 days you can still cancel at any time, and your cover will terminate at the end of the paid-for period. Cover will be automatically terminated if you have two successful claims in a 12-month period, make a fraudulent claim, don’t keep up with your payments, or terminate your Pay Monthly plan with Three. The company also reserves the right to terminate the cover if it is no longer economically viable to provide it, or if Three or the insurer withdraw from the market of providing policies of this type in the UK.